Here’s a replay of Episode #7 of The Crisis Show, which aired on August 1, 2012. We covered many crises/controversies, including the blackout in India, Chick-fil-A, NBC/Twitter and London2012, Hyundai, Mitt Romney and more. 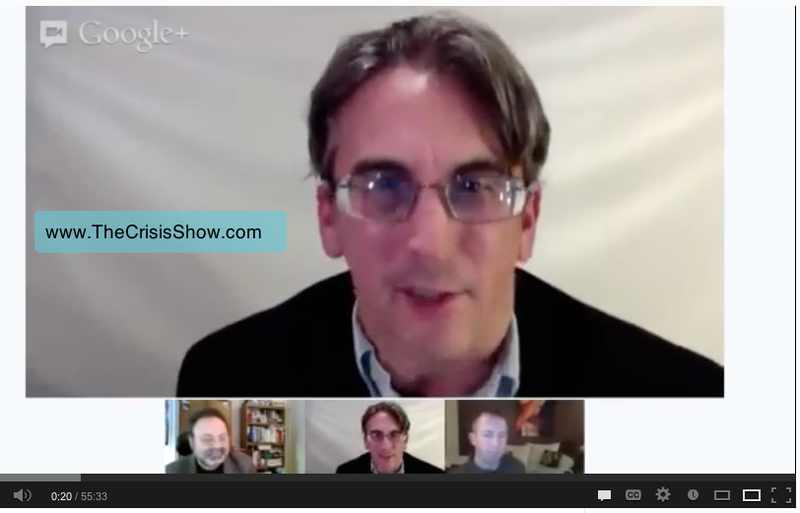 The Crisis Show, with co-hosts Rich Klein, Melissa Agnes and Jonathan Bernstein, airs every Wednesday at 7 p.m. EDT via Google Hangouts on Air and YouTube. For more information about the show, please visit The Crisis Show website.